BURRITO DAY IN LA ! What is BURRITO DAY, you ask? We can get into details later. Briefly FYI, it's turned into an annual celebration of Bro Matt declaring it BURRITO DAY IN LA, during a December 19, 1983 KXLU newscast. 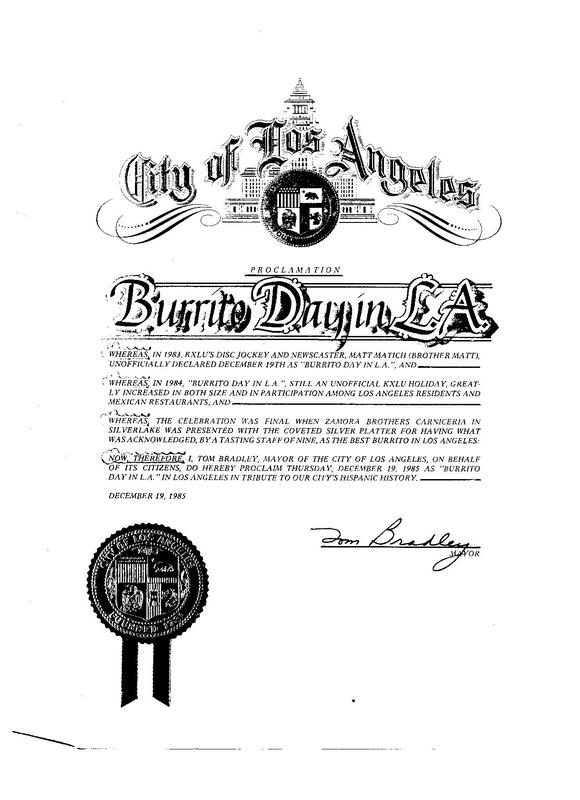 - In 1985, Mayor Tom Bradley issued the official proclamation, declaring December 19 as BURRITO DAY IN LA. 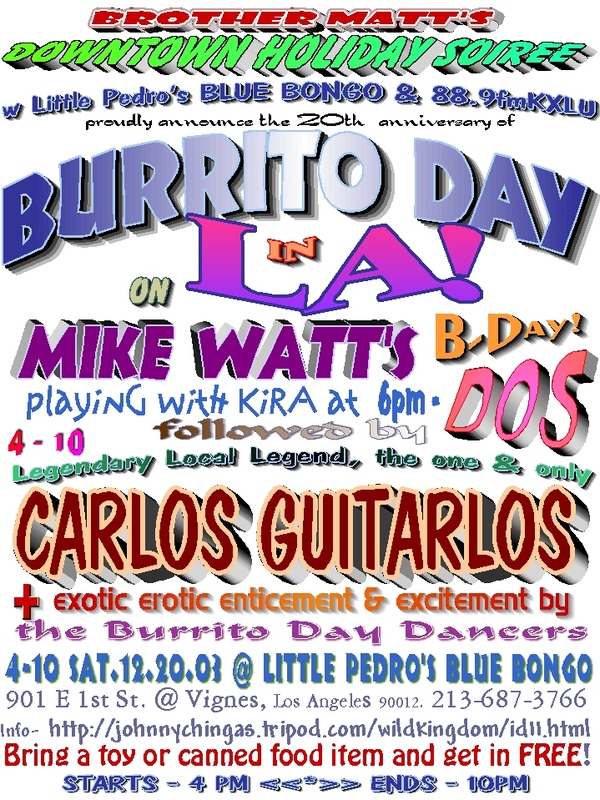 - In 2003, holiday celebration & Mike Watt's birthday bash at Little Pedro's Blue Bongo with music by DOS - Mike Watt & Kira, and by Carlos Guitarlos. Food & toy drive collection went to The Toberman Settlement House.